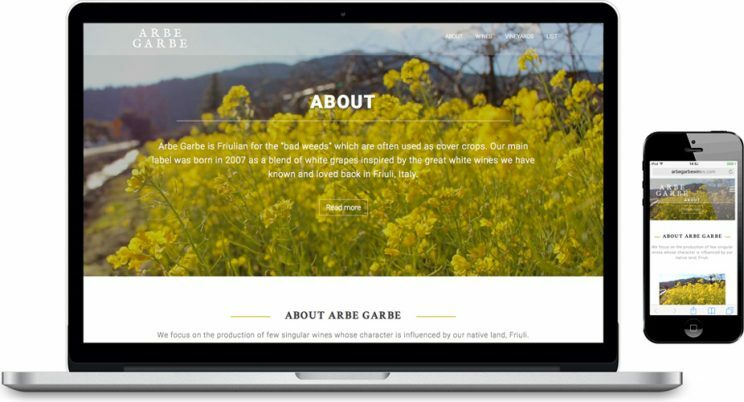 Springtime is a good time for new website design–and so is summertime–so I was super happy to design this new site for Arbe Garbe Wines as they prepared to release their new vintage. Not only did I get to design the site, but I got to do their bottle shots and other photography in beautiful wine country to set the scene for their new website. See and learn more about this website design. Cheers!